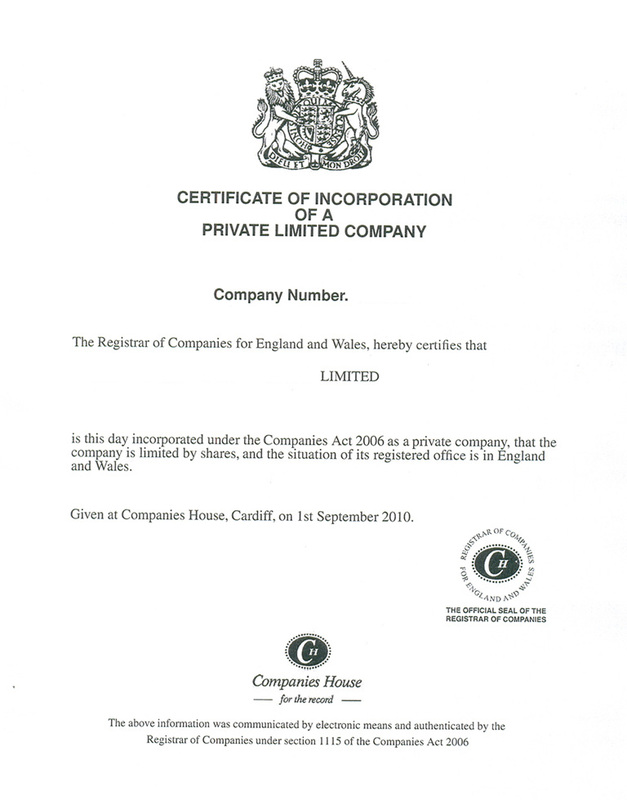 The Certificate of Incorporation shows that your company has been formed at Companies House. Once your company has been officially registered with the government you will be issued a Certificate of Incorporation, also known as the birth certificate of a company. Why do I need a Certificate of Incorporation? open a bank account or if you apply for a loan or funding. Some companies will also ask to see it when opening a trade account. The Certificate of Incorporation does not prove that you own the company. For this you will need share certificates. Where can I find my Certificate of Incorporation? If you’ve formed your limited company with The Company Warehouse your Certificate of Incorporation will be uploaded to your ‘My Company Warehouse’ account for you to download whenever you need a copy. If you didn't form your company through The Company Warehouse but have activated your membership on our website then you will be able to access your Certificate of Incorporation in the same place. 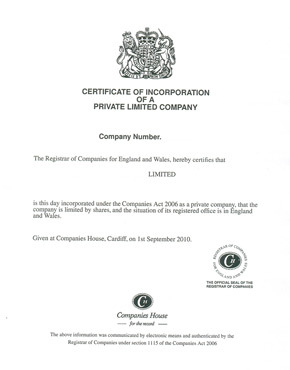 If you have lost your Certificate of Incorporation it is possible to get a copy of it from Companies House. We can get these copies for you and they can be ordered through our ‘My Company Warehouse’ member’s area. All of our company formation packages include either a digital or hard copy of your Certificate of Incorporation alongside your Articles and Memorandum of Association. We use standard model documents but we can tweak them to suit your unique business needs.